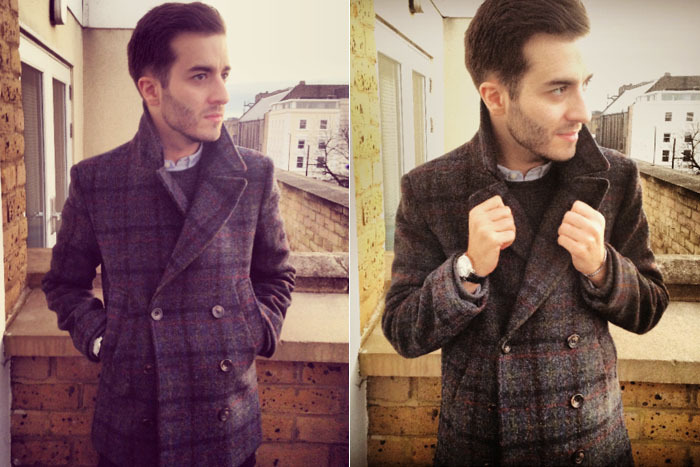 Earlier this month the lovely folks at ASOS were kind enough to gift me my favourite piece of the season – their Harris Tweed Peacoat from their new Made in England range, which I recently blogged about. The brand seems to have struck the perfect balance between quality materials and timeless design and an affordable price. Apart from a slight sleeve shortening tweak (something I always have to do to all my jackets) the coat fits as if it had been tailored for me. I have only worn it twice so far but there hasn't been a person – guy friends included – who hasn't sung its praises. 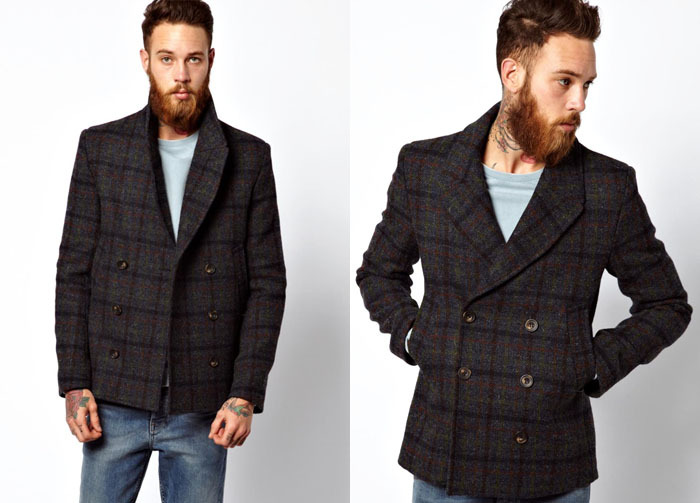 The subtle colourful checks of the Harris Tweed give it enough of a distance air without risking being loud. The coat is also extremely light and the warmest I have ever had. If you are thinking of Christmas presents check out the whole Harris Tweed range here. A big thank you to Shawn and Louisa at ASOS for always being so nice to me! Looks really nice man, would be too short on me sadly.